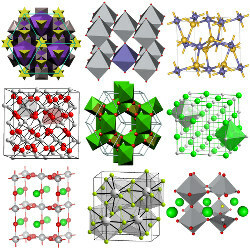 Materials informatics is a junction of materials science and computer science, focused on the data processing and analytics for the new materials. This includes the advanced software development, database-driven simulations, and automated screening of the scientific data. 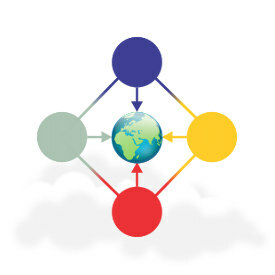 full-stack software development for the scientific data repositories. Managing the big amounts of scientific data, sharing them online, automation of computational research — all these topics are the applications of materials informatics. Would you like to learn more? Then contact us. Materials platform for data science (MPDS) is an online version of the well-known commercial PAULING FILE materials database, curated since 1993. More than two millions of data entries (phase diagrams, crystalline structures, and physical property values) are available for the download by subscription. 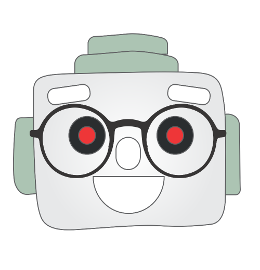 The whole dataset is also available in machine-readable developer-friendly format via the REST API. 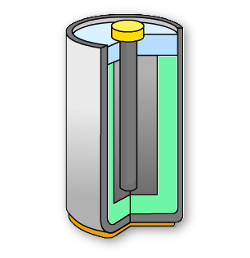 The source of data is about 300'000 peer-reviewed publications in materials science, processed by an international team of the expert editors. The results are presented online under the quick search interface. The basic access is provided for free. In this project various materials related to up-to-date commercial applications are considered at the ab initio level. The state-of-the-art theoretical approximations are adopted. 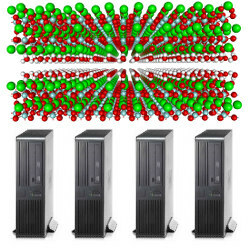 To reduce computational costs, only the ideal systems without the defects are modeled. All the results, including raw and intermediate data, and all the detailed software workflows, will be published as the open-access online interactive encyclopedia for educational purposes, allowing reproduction and enhancement. 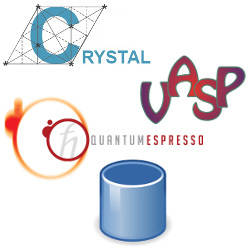 As of now, the demonstration database contains: (a) selected data prepared by Evgeny Blokhin, (b) open-access data prepared by Zhongnan Xu, Jan Rossmeisl, and John Kitchin, and (c) tutorial datasets for simulation packages Quantum ESPRESSO and CRYSTAL. The two following projects are relevant. With the ubiquitous penetration of Internet, browsers became powerful and comfortable web-application platform. However the server is normally required, implying such drawbacks as software complexity, traffic overhead, and privacy issues. These drawbacks are avoided in the presented web-applications. They visualize crystalline structures in common formats (see also other solutions) and identify the space group. The only browser and no plugins are required. The web-applications are open-source and ready to be used as the parts of more complex software. 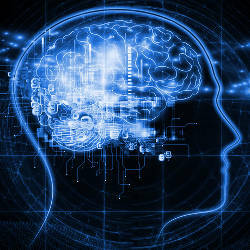 In a narrow sense, a special-purpose artificial intelligence is the number of computer science techniques, copying the certain cognitive aspects of the human brain. Among them the deep learning and logic reasoning are of the special interest. They were already applied in materials design and chemoinformatics. The present study aims to review the existing experience and recognize the most promising use cases. Using these two artificial intelligence techniques, this study will offer the open-source solutions for some practical materials science problems, concerned with the big amount of data. 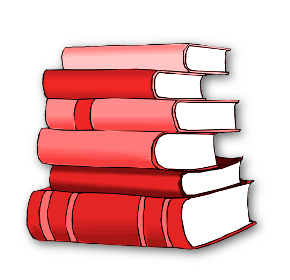 As an introduction, the logic reasoning tutorial is available. 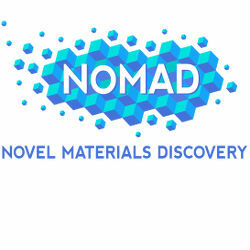 This project was the collaboration of Fritz Haber Institute of the Max Planck Society and Humboldt University of Berlin (Germany) with the aim to create an international ab initio materials science data repository called NoMaD. The database structure was designed, and the repository program core was implemented. In 2014 the first version of NoMaD was launched. In 2015 NoMaD project was successfully funded by European Union's infrastructure call for Centers of Excellence (CoE) in computational sciences. The Quantum Chemistry Chair of St. Petersburg State University (Russia) had worked on several international projects granted by NATO, DFG, INTAS, and CRDF in fundamental research. 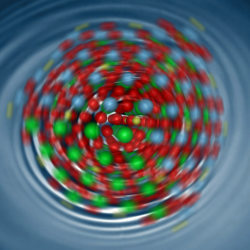 One of the projects was to combine classical force-field and ab initio modeling techniques to describe water adsorption on the surfaces of SrXO3 perovskites (X = Ti, Zr, Hf), owing to its high technological importance. During this project, the number of utility software tools for data processing were created. For details please refer to Evarestov, Bandura, Blokhin, J. Phys. Conf. Ser. 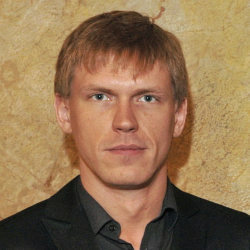 (2007) and Evarestov, Bandura, Blokhin, Surf. Sci. (2008). Visualizes crystalline structures in CIF and POSCAR format directly in browser, allowing to embed them interactively in the webpages. Source code. Contains more than 5000 ab initio calculations, which are collected for demonstration. 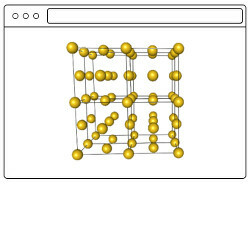 The materials science data repository engine and browser-based graphical user interface are open-sourced. We explore the screening strategies for materials design using the artificial intelligence techniques, such as deep learning and semantic technologies. Let the advanced data analytics serve for materials. You manage big amounts of scientific data or want to share data online? Or process your data heavily (e.g. with Python)? It is time to invest in your own data laboratory. Full-stack software development for high-throughput database-driven ab initio modeling — it is actual, if you need to automatize and accelerate any parts of your computational research. Let's increase the efficiency of your R&D processes. 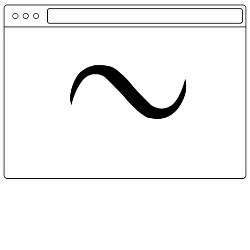 Unfortunately, your browser doesn't work properly here. Please, try to use its newer version.